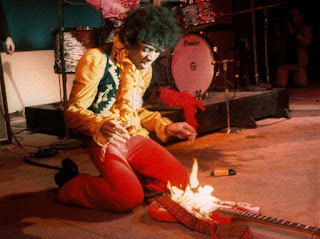 In recent weeks much has been written about the 50th Anniversary of Sgt Pepper's Lonely Hearts Club, but as I just read the latest issue of Goldmine Magazine I just realize that June 16-18 will mark the 50th Anniversary of the Monterey Pop Festival. I just found a website about events associated with the anniversary. I remember seeing the film Monterey Pop in 1969 in Manhattan with a date that didn't work out. Web site about the festival.